Listen to the interview (approx. 57 min.) or download it. Left Berklee in 2008. (Completed his liberal arts at Bunker Hill Community College 2011-2014, Finished his very last requirement and officially graduated from Berklee in 2016), with a degree in Professional Music. Principal Instrument: bass. Overview: Starting at age 11, Matt would make a bit of money by buying computer parts, assembling computers, selling them, and providing technical support. Entering Berklee as a diploma student, Matt transitioned into the degree program, but left in 2008 due to financial issues. 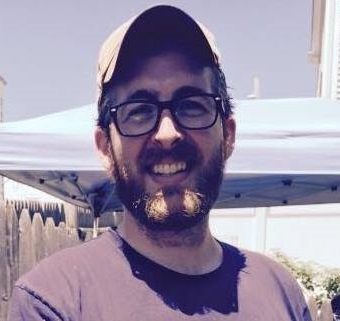 Matt searched widely for a job in the Boston area, focusing on both being a butcher and learning guitar repair, but his experience led to him being hired at the then-new Apple store as a “genius” (tech support), where he received good training and certifications for Apple products while making decent money. He worked there for around two and a half years, but grew weary of the long hours and erratic schedule which prevented him from finishing his education, and was sending out resumes. Nearly a year after he had applied Matt heard back from the MIT-affiliated Whitehead Institute for Biomedical Research, to support their Apple hardware. He worked there for five years, eventually seeking ways to move up. MIT was doing a shake-up of its IT staff, and he was offered his current position in late 2015. You can see Matt’s LinkedIn profile here.